From Southern traditional to fashion-forward home design, Palmetto Road captures the style of the Southeast. 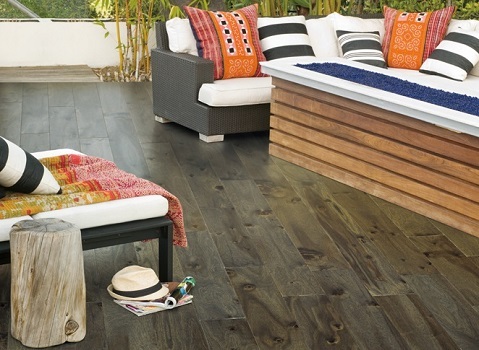 Today, we shine the spotlight on a hardwood collection filled with character, Highlands Park. We all know that hardwood floors are an investment, one that will inevitably increase the value of your home, so… why not make it an investment with personality? The Highlands Park collection will give you just that. The collection features a hand-carved Knotty Acacia hardwood, different from the regular Acacia. While the knotty Acacia is earthy and rustic, it also models tasteful spirals which surface the varying semi-gloss planks – the hardwood is a piece of art on its own. For more information, find a Palmetto Road Flooring retailer near you! Copyright © 2016 Southern Diversified Distributors. All rights reserved.